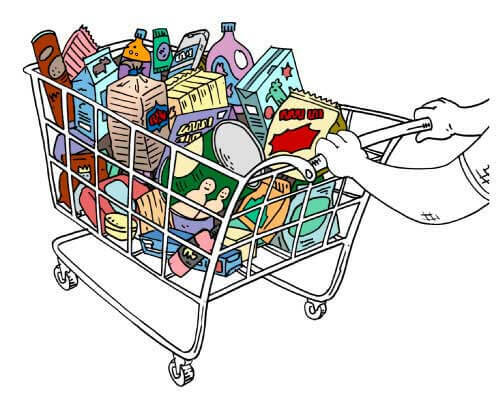 The Consumer Packaged Goods (CPG) industry is one of the most competitive markets in the world. Under the CPG umbrella, you can find food and beverages, personal care and hygiene brands and various household products all of which have a high stock turnover and a shorter lifespan. There is a higher market saturation and a lower consumer switching costs which make it tough for manufacturers to get a definitive competitive edge and see substantial growth . During 2016, the growth rate for the U.S. Consumer Packaged Goods (CPG) industry has decelerated from the 5% rate it saw in early 2015. From July 2015 to July 2016, the personal expenditure on CPGs increased by only 2.4% . This reduced growth rate could be attributed to a general slowdown in the U.S. economy (from 2.6% in 2015 to 1.6% in 2016) but also to certain socio-economic changes that the global CPG market is undergoing. The changes roiling the consumer packaged goods (CPG) industry are significant enough that companies will have to reexamine fundamental tenets that have in the past served them well and adjust their business strategy to these emerging industry trends. Global demographic shifts– Low birth rates in developed countries (North America and Europe); the developing countries have a much larger proportion of the world’s population. Economic uncertainty – The majority of consumers in mature markets have, until 2016, endured more than a decade of stagnant wages, and members of today’s younger generation are at risk of ending up poorer than their parents. Those factors have combined to slow consumer spending. And in many emerging markets, such as Brazil, Russia, and China — where there is potentially a large market of new consumers counted on by CPG firms for future expansion — slowing GDP growth and currency weakness (sometimes mixed with high-interest rates) have for now dampened consumer enthusiasm. Shopping habits – Millennial consumers’ shopping carts will be balanced to offer the optimum value and will combine both name and private brand. Millennials tend to see shopping as a social activity and appreciate shopping centers which offer delis, child-friendly facilities and online ordering touch points . Consumer preferences – Consumers are looking to purchase those brands that promote personal health (natural and organic, craft products), are sustainable and environmentally friendly and have a low negative social impact (working for low wages, for long hours, in poor conditions) . Rapidly evolving technologies –The consumers are increasingly using their laptops and smartphones to research or browse products and offerings and to purchase goods online; In U.S. alone the digital sales are expected to increase from $5.82billions to $8.17billions over the next 3 years . The discount and top-end companies are doing well and increasing their market share, while retailers in the middle — and the CPG companies that service them — are suffering. Clearly, in this environment, CPG companies must focus obsessively on their cost base and drive continual efficiency. However, it is equally important for them to be sophisticated in how they manage and improve the top line: by deepening their understanding of consumer appetites and shopping habits, uncovering pockets of profitability in small brands, and aligning their brand portfolios for growth. While the majority (95% according to Salesforce) of the CPG consumers have a strong preference towards buying their packaged goods in-store, the e-commerce platforms are quickly starting to pick-up. A recent survey by the TrendSource marketing firm found that 22% of the respondents bought groceries digitally . Despite the initial reluctance of consumers to purchase CPGs online, some branded manufacturers have discovered the importance of directly engaging with their clients and selling through omnichannel in addition to using the traditional business methods. CPG manufacturers must establish and foster a direct relationship with their consumers, increase their brand awareness and brand loyalty, frequently experiment with their offer and fail fast. Providing an excellent customer experience has become key to differentiating from the competition. 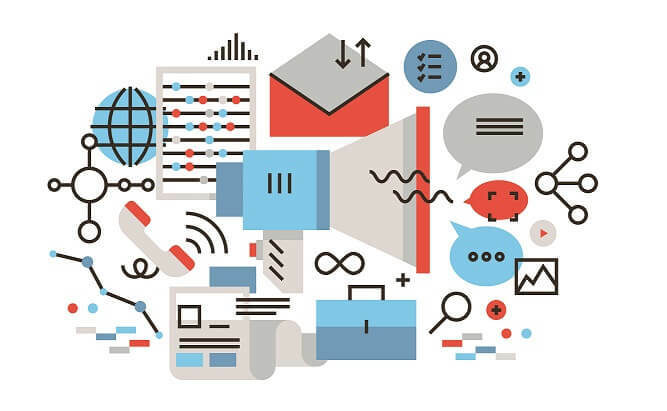 CPG businesses should consider investing in complementary technologies that capture and capitalize on the available data, bring products to life with rich information and help them establish a relationship at every point of the customer’s journey. Technologies focused on managing product data across the CPG supply chain can significantly help businesses get a leg up on the competition and gain a larger market share in the e-commerce world. By adopting smart data, CPG enterprises can achieve the desired scalability, consistency and visibility and meet their immediate performance targets and long-term goals. One of the world’s leading manufacturer of personal care products has deployed Riversand’s PIM solution to create a single source for product data that is used by lower-level systems (ERP programs, websites and print catalogs) and create a single product data entry point for all the programs across the enterprise. Implementing PIM allowed our client to synchronize all their systems, improve data analytics, reduce marketing costs, and accelerate the time-to-market. In the first quarter of 2017, the Consumer Business Segment achieved organic sales growth of 3.0% in the first three months of the year, and the company forecasts that during the 2017 fiscal year the sales growth in the Consumer Business Segment will outperform the market by 3-4% .